An Aston Martin Rapide S will race in this year’s 24 Hours of Nürburgring. That isn’t too surprising, given that the Rapide S packs a 6.0-liter V12 and is based on Aston’s racy DB9. What is surprising is that this Rapide S will also be partially powered by hydrogen. 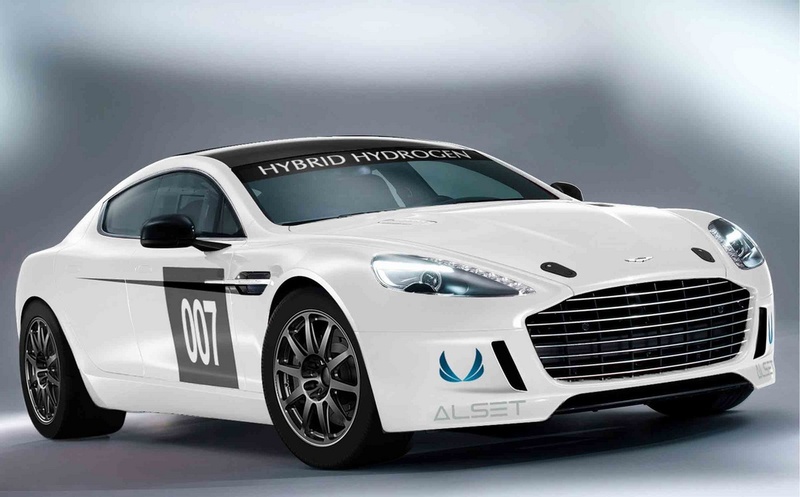 Actually, the Hybrid Hydrogen Rapide S, as Aston is calling it, can run on hydrogen, gasoline, or a combination of the two. Under the hood is the same V12 that powers the stock Rapide S, but with twin turbochargers. Feeding those 12 cylinders is a constantly variable fuel mixture. Aston’s goal is to complete at least one lap of the Nürburgring on pure hydrogen, but gasoline will probably be doing most of the work. The hydrogen will be stored in four carbon fiber tanks. Two will be placed next to the driver, and two will be in the trunk. Aston hasn’t released any performance statistics for the Hybrid Hydrogen Rapide S. The standard Rapide S has 550 horsepower and 457 pound-feet of torque. It will do 0 to 60 mph in 4.7 seconds and reach a top speed of 190 mph. As a maker of very traditional V12-powered sports cars, Aston Martin doesn’t seem like the kind of carmaker that would dabble in green tech. However, with emissions and fuel economy regulations getting stricter, the Hybrid Hydrogen Rapide S makes a lot of sense. So far, the laughably cynical Toyota iQ-based Cygnet has been Aston’s only response to emissions regulations. Eventually, it will have to follow the lead of Ferrari, McLaren, and Porsche, and think of something else. Those three have bet their chips on battery-electric hybrids, but what if Aston decided to develop a hydrogen production car instead? Fuel availability would obviously be an issue, but if enough early adopters (or people rich enough to buy their own hydrogen) signed on, who knows what could happen. 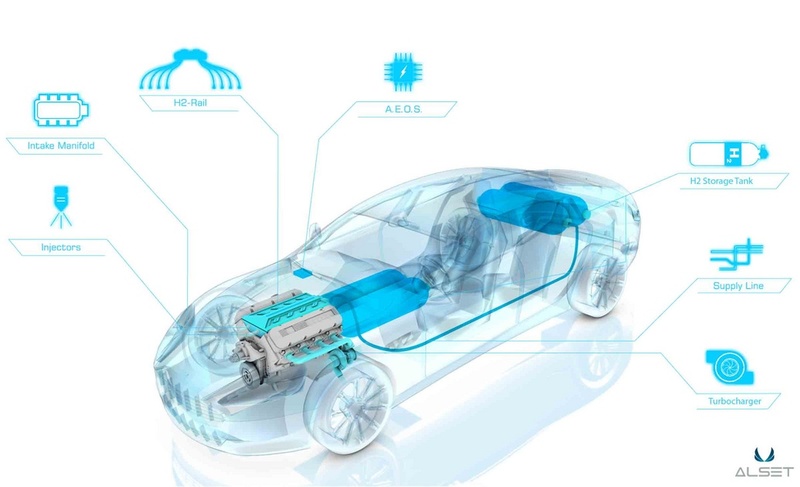 Aston could even adopt the Hybrid Hydrogen Rapide S’ switchable fuel system for production, potentially lessening range anxiety. Either way, the resulting car would be exactly an Aston Martin in every way that matters, but with an engine that burns hydrogen instead of gasoline. Talk about the best of both worlds.